Just like last week, today I have a comic from “All in a Lifetime” by Beck. This one is dated April 7, 1947. It does illustrate how ubiquitous it was for kids to go barefoot all summer long. That kind of quilt-washing has also died out. But, unlike barefooting, at least there’s a good excuse for that. 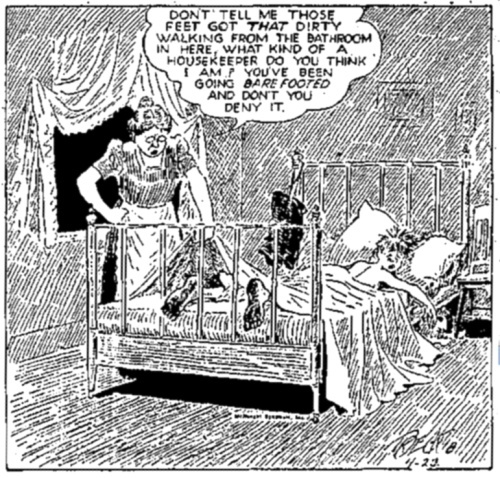 Here’s a comic from April 23, 1948. It comes from “All in a Lifetime” by Beck. 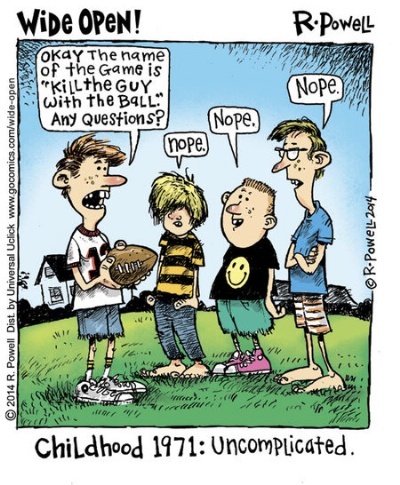 This strip, looking at “olden” times, has done quite a few barefoot comics. This is the sixth one of them I’ve shown. Pretty obviously, dirty feet have been an issue with mothers for a long time. Today I present a twofer. 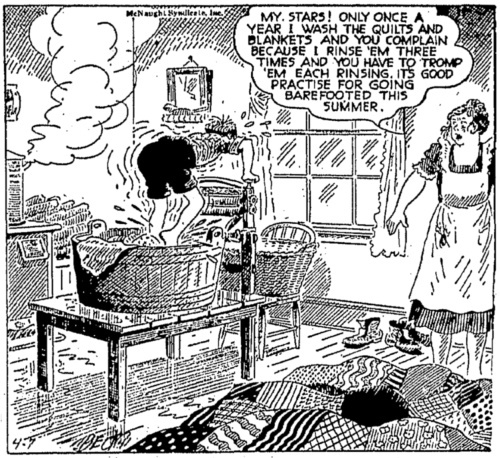 Both come from the strip Barney Google and Snuffy Smith, which I featured a few times last month. These are newer strips (they’re in color! ), though, with the first one from August 27, 2007 and the second from March 29, 2014. In this second strip, things are much clearer (and also muddier!). Today’s comic is from Wide Open, written/illustrated by Rich Powell. It appeared on August 21, 2014. That was just fairly normal back then.